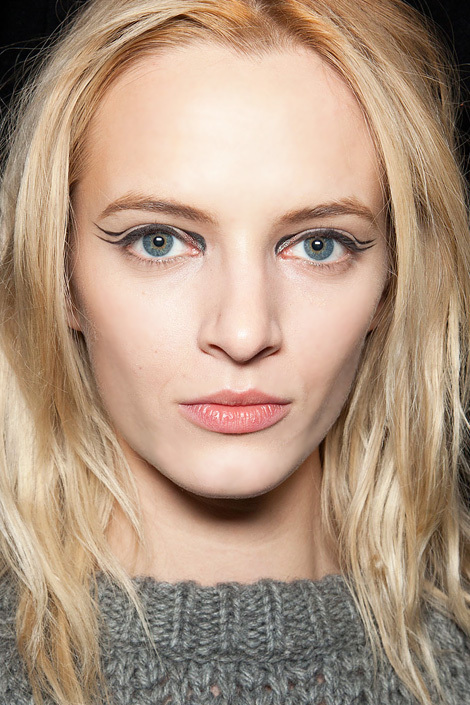 Boxy corners, linear lines, and strategically placed dots give eyes graphic new shapes. 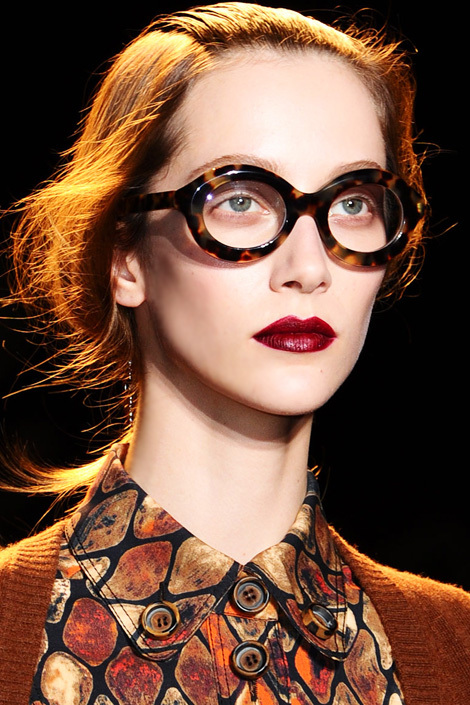 Rouge pouts are bordered on goth this season, taking on a blackened hue at shows like Viktor & Rolf, Christian Siriano, Basso & Brooke, Bottega Veneta, Nina Ricci, Gucci, and Rochas. 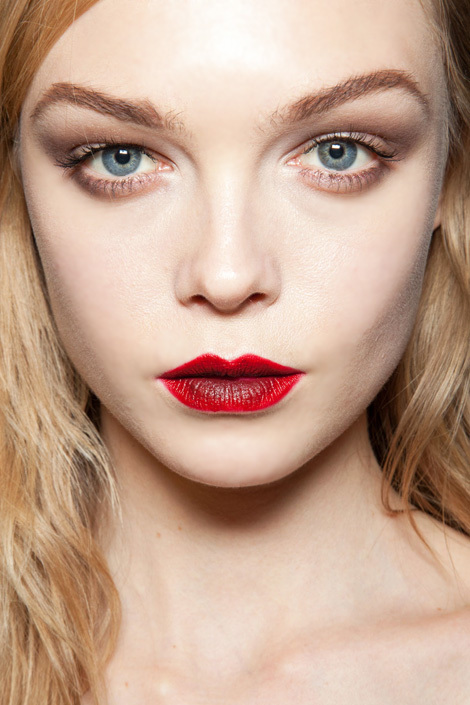 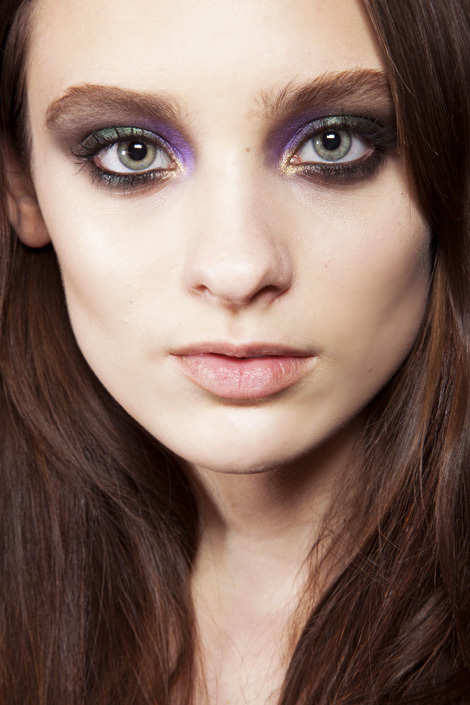 Pigment swept across lids in perfectly symmetric patterns at Prabal Gurung, Prada, and Roberto Cavalli. 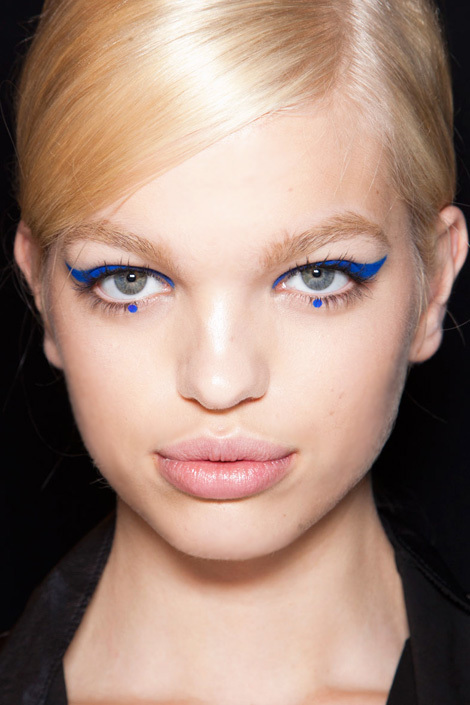 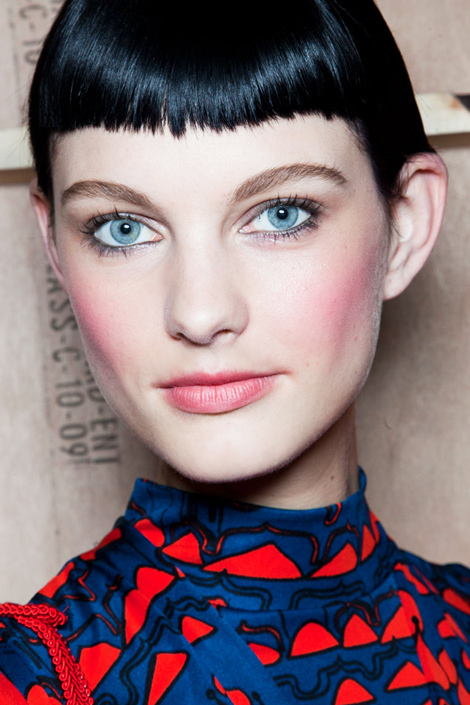 Strokes of eye shadow mimicked the look of lashes at Anthony Vaccarello, Derek Lam, and Jean Paul Gaultier.